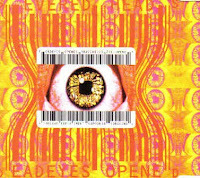 Severed Heads main-man Tom Ellard’s 30-year career should really be defined by his prophetic technological foresight, but in reality it's a decidedly old fashioned ‘whodunit’ narration on one major hit, Dead Eyes Opened, that really grabbed the spotlight. 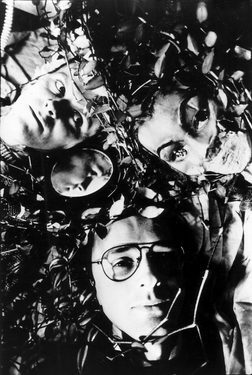 17 years after that single, during which time Ellard remained quiet, yet musically active, he has decided to end Severed Heads once and for all. “Seriously, 30 years is long enough. I mean… Jesus!” Ellard, who has often been quoted making anti-nostalgia diatribes, discusses his musical past self-effacingly, while his successes in the form of innovation are worn as honour badges. Now as he prepares his farewell shows - opening for new-wave innovator Gary Numan's Pleasure Principle Revisited tour - Tom explains, in some frustration, Severed Heads may be harder to kill than he had initially thought. “Well we already put it to bed at the end of 2009 which was the actual 30 year mark.” He begins. That last Severed Heads show was performed at the Sydney Music festival with little fanfare. “Some people thought it was a bit rude of me to just shut it down without a proper farewell tour and so we decided we would drag it out just one more time and say our toodly-doodly’s.” The Gary Numan tour was in Tom’s mind an oddly perfect way to bring his band to a close, he explains. “I think it works having us and Gary Numan on the same bill because, although we were a generation after (Numan), he put out The Pleasure Principle album while we were still very much in the bedroom making noise nobody wanted to listen to, but at least we were operating in similar musical mediums.” He adds, “Gary and us both put out a record in 1979, but then again there’s a big difference between his top 40 album and whatever the hell we thought we were doing.” Tom’s set for the farewell tour will cover Severed Heads 30 years, however the audio-perfectionist he is, won’t allow Ellard to just plod through a vintage Severed Heads concert. “I look at a band like Kraftwerk who just stopped dead creatively in 1990, and since then have toured the same old show, and I think ‘I would never want to do that’. 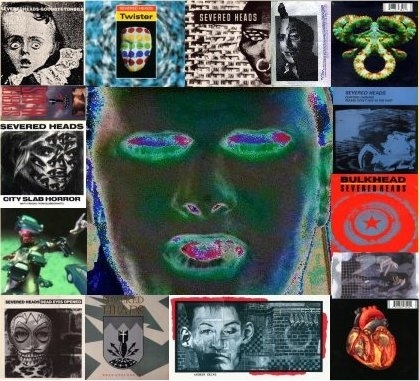 Although we don’t play any new music, we are constantly updating how we play the songs live and improving on them.” Re-interpreting songs aside, the visual side to Severed Heads shows has remained integral since Tom’s very early interest in 3D video art and how it could be mixed live with the audio long before the technology made such displays cheap and easy. 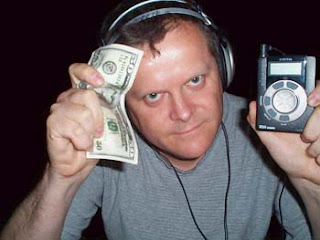 Sadly his style of 3D looped motion clips also spawned a thousand dodgy rave videos, but Tom’s rough, yet no-less impressive animations trail blazed non-performance music video in Australia. “The promoter gave us a list of what he wanted us to play in these shows so I just said, right well we have to make new videos for these songs to use in the concerts because some of the songs are so old now and the original clips are pretty weak by today’s standards.” He laughs, “It’s fine though, it has given me an excuse to fix up some stuff that has always bothered me about how the videos looked. The one for Heart Of The Party for example could have been so much better if I had’ve had more time but they (the label - Volition) wanted it done quickly, so it ended up looking only half finished to me.” Through the now defunct Volition label, Severed Heads along with other notable dance acts Paul Mac, Single Gun Theory and Boxcar spearheaded a sizable underground movement counteracting the rock/grunge dominated early ‘90s. When the label folded in 1996, many of its discoveries where never to be heard from again, but many friendships formed within the label continue to this day. Tom discusses. “An old friend of mine Stewart Lawler from Boxcar – who’s basically ‘the other guy’ in Severed Heads these days - will be joining me on stage for these shows.” He confirms, “I need somebody who can play the keyboard, you see. 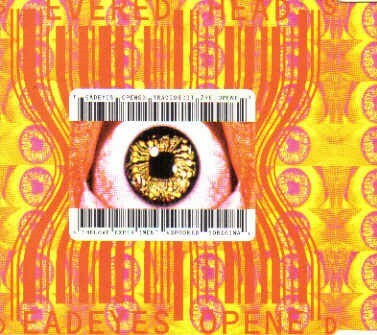 I can’t play a thing, but I do push a damn fine button, I think.” At Severed Heads inception, music in Tom’s mind was undeniably heading away from the traditional four-piece rock band. He would often lapse into heated arguments with his old band mates Richard Fielding and Andrew Wright over this very point and as a consequence, Ellard soon found himself the sole constant member. Without compromise, he was then free to create his often twisted, dark industrial tracks utilising a strange new device known as a ‘home computer’. “I had a home computer in 1977, and it just seemed like such a normal thing to have.” He recalls, “The whole idea of making music electronically was actually a lot more active in the late ‘70s than even now. People were much more interested then I think in its possibilities over and above what you could do with a guitar, because that medium had already been exhausted in many ways.” He reasons. “It’s funny to put on a live show when you’re an electronic band, because you kind of have to redefine what a live show is.” He says continuing, “What Stewart and I decided was if we wanted it to kind of feel like a real live show, the potential for things to go wrong had to be there.” He laughs, “Its not very interesting watching a couple of blokes playing keyboards, but that leads us back to the whole 3D video thing.” In the 1980s, Tom painstakingly tried to sync his music clips on analogue video machines during the live shows, but the digital revolution has offered a seamless and simplified alternative for acts like Severed Heads, surely? “It only gets easier if you get better at what you do, so that rules me out.” He offers, self-mockingly. 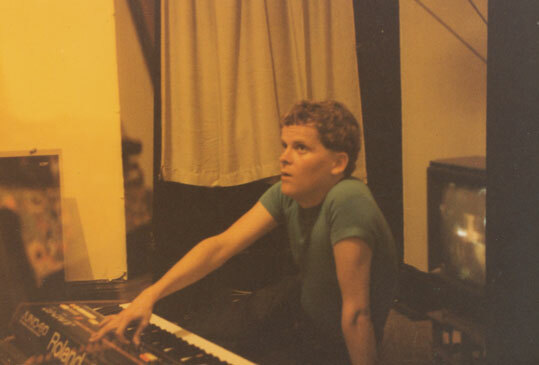 But Tom’s front hides a true DIY obsessive who excelled in drawing the most out of even basic analogue gear, sampling and early digital technology to great effect. As quaint as it all looks now, Tom made a memorable 1994 appearance on serious science TV program, Beyond 2000 which saw him declaring everyone in the future would buy stuff with cards and CD-Rom was poised to revolutionise music. So CD-Rom has been consigned to the dustbin of the multi-media museum, but he was half right. “I remember I said about card’s replacing cash and everyone around me was like, oh wow!” He laughs. “What I didn’t predict though is the kind of evil side to certain so-called advances, and how everyone would one day be conned into selling their privacy.” Ellard scoffs. Very best regards, nothing more to say... it is a pleasure to commit this one !